Drainage vs Detox: What's the Difference? Drainage vs. Detox: Do You Know the Difference? Detox without Drainage Can Make You Sick! These days, detox or “detoxification” refers to just about anything labeled “cleansing” and “healing.” But what is detoxification, exactly? Detox includes many options. And, timing is everything when it comes to cleansing protocol. The protocols may include lymphatic therapy, infrared saunas, and colonics. Correctly ordered cleansing can save the pain and discomfort of a “cleansing crisis.” In my early healing days, I described boils and migraines that came with juice fasting like a war hero — proof of commitment and courage. Healing crisis were my version of “I walked 20 miles in the snow to school.” Unknowingly, I detoxified without ample drainage. My liver became overwhelmed and exhausted. Getting worse before getting better does not always equal to the best healing process. Drainage refers to stimulating the key organs that transport and excrete toxins: liver, kidney, and lymphatic system. 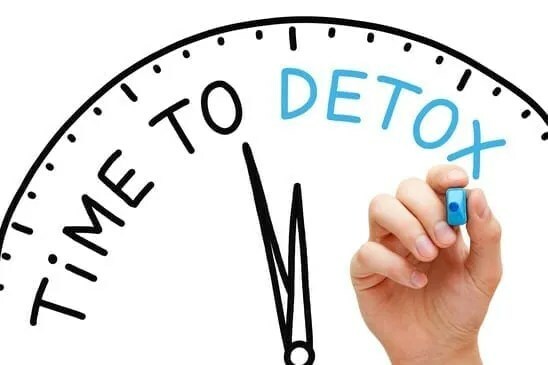 “Detoxification” or “detox” refers to removing toxins from the tissues; from there the toxins enter the lymphatic system, and go to the liver for processing. Drainage must always precede detoxification. If you do detox first, the liver becomes overloaded, and people feel more sick. Drainage can best occur with lymphatic therapy, rebounder jumping, dry skin brushing, or homeopathic remedies. Colon cleansing, enemas, and saunas are detoxification options; and one-day-a-week juice fasts. An alternative to juice fasting is to limit yourself to steamed vegetables and one rice, hemp, or pea protein shake per day. The energy you feel the next day will surprise you. Our motto is “Drain and dump!” During cleansing, drink electrolyte-charged water to help the body alkalize. These techniques achieve optimal results when done gently and slowly. If seriously ill, cleanse under the competent eye of a doctor. Overachievers, beware! “More is better” applies to love, hugs, and prayers, not cleansing.